Burlappcar: Another picture of the mystery SUV. Most people seem to think this is the Acura RDX. Also, this thing is quite large in the flesh. Not like the RDX at all. It is also much wider. The roof and the hood are quite flat. It could be the MDX. Someone on my FB page has also mentioned the next Cherokee? VINCE, read people's comments. The other spy shots of the RDX show a different placement for the taillights because the other versions of the vehicle were USING PARTS FROM THE CR-V (the taillights, the lift gate, etc.) You have no way of determining that this is wider or bigger than what the RDX would be from close-up pictures. You need something else in comparison to get a sense of scale. This is not the next Cherokee, because it has been spied already in facelift form so a new generation is not testing yet. Looks like a Toyota product to me. It's the RDX - Ohio plates and what is clearly the new Acura grille. 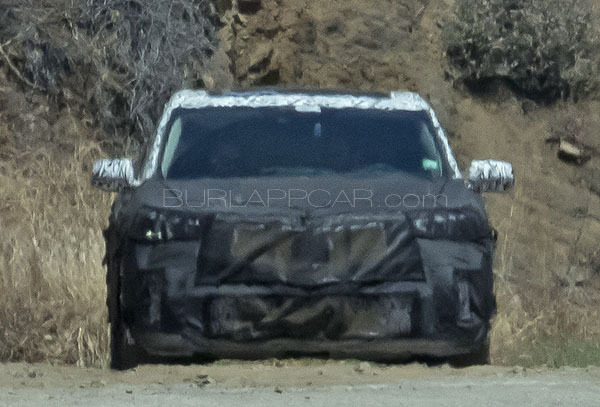 And as Patrick said - the other RDX "Spy" shots were of a CR-V mule. So the CR-V with the RDX powertrain in it. The CR-V and RDX will share the same architecture.